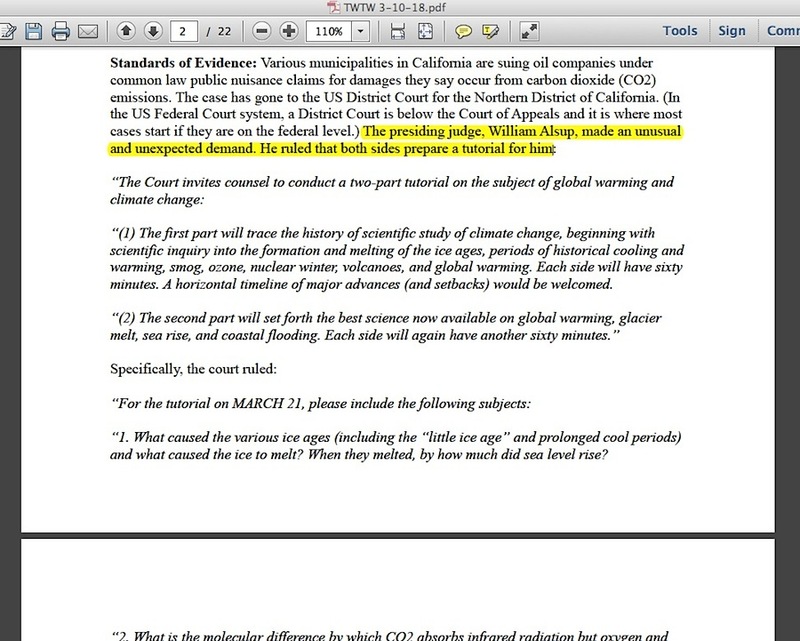 That’s one of the pair of global warming lawsuits I covered in my October 6, 2017 “People of the State of California v. BP P.L.C. et al” blog post. The People of the State of California v. BP P.L.C. et al. San Francisco Superior Court Case is the other one; both are basically identical. 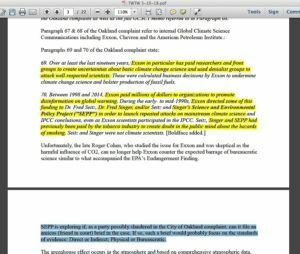 Within that post toward the end, I briefly described what was suspect about a particular line in the lawsuits, regarding Science and Environment Public Policy (SEPP) founder Dr S Fred Singer. Since the news over the weekend concerned SEPP’s mention of “slander,” I thought it would be worthwhile to show why it is that SEPP would say such a thing. 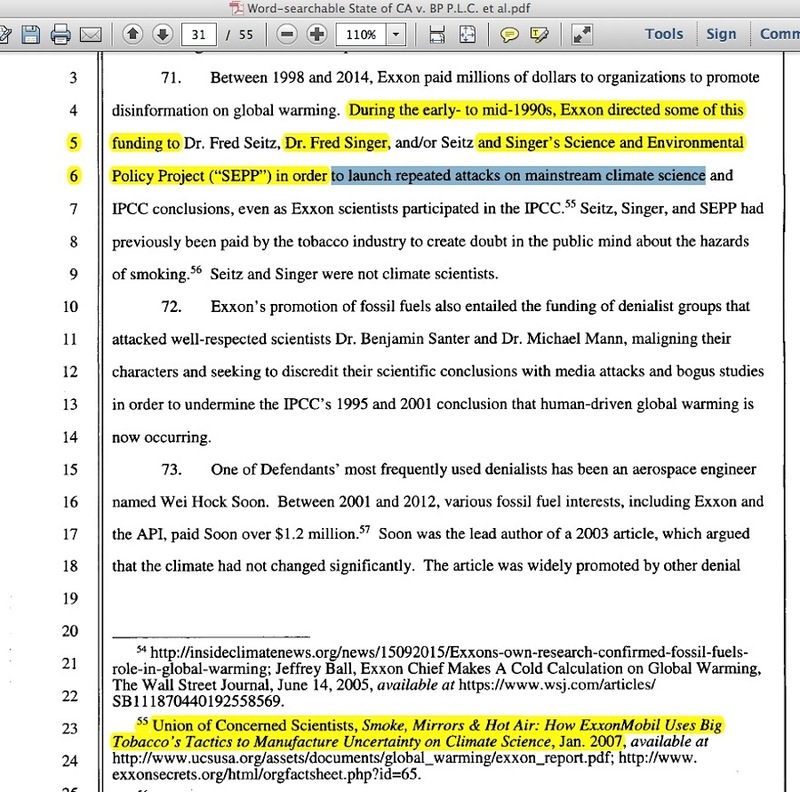 Between 1998 and 2014, Exxon paid millions of dollars to organizations to promote disinformation on global warming. 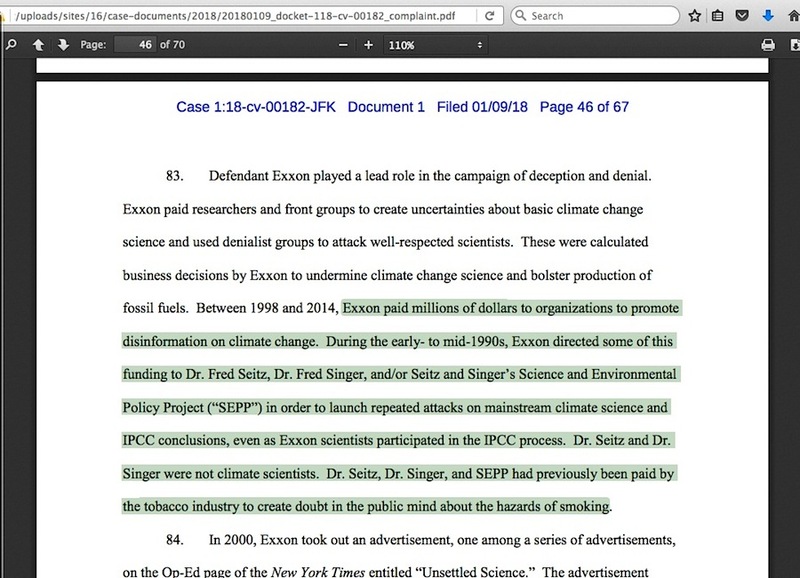 During the early- to mid-1990s, Exxon directed some of this funding to Dr. Fred Seitz, Dr. Fred Singer, and/or Seitz and Singer’s Science and Environmental Policy Project (“SEPP”) in order to launch repeated attacks on mainstream climate science and IPCC conclusions, even as Exxon scientists participated in the IPCC. 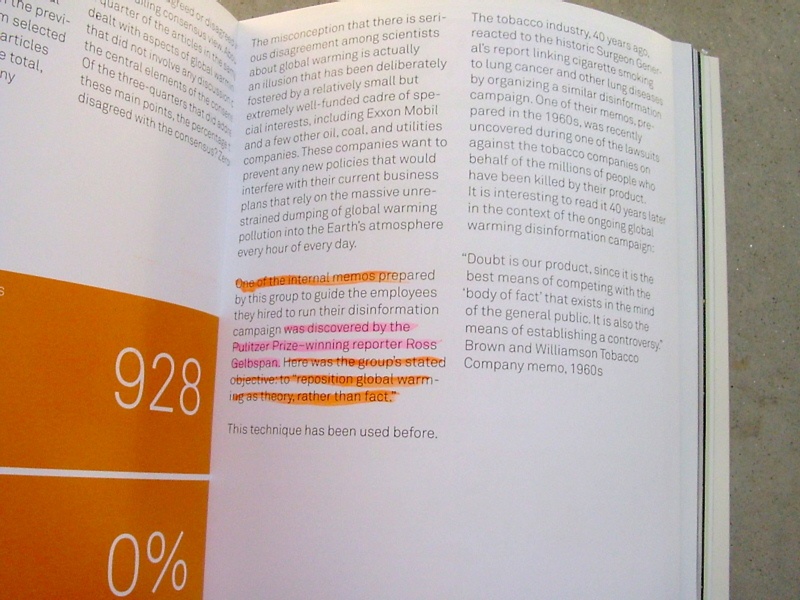 Seitz, Singer and SEPP had previously been paid by the tobacco industry to create doubt in the public mind about the hazards of smoking…. 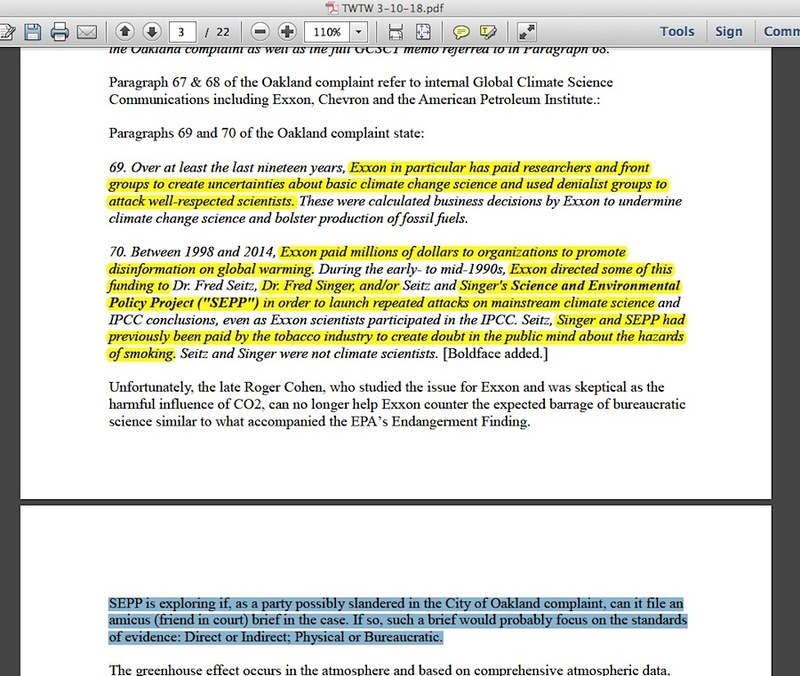 SEPP is exploring if, as a party possibly slandered in the City of Oakland complaint, can it file an amicus (friend in court) brief in the case. If so, such a brief would probably focus on the standards of evidence: Direct or Indirect; Physical or Bureaucratic. 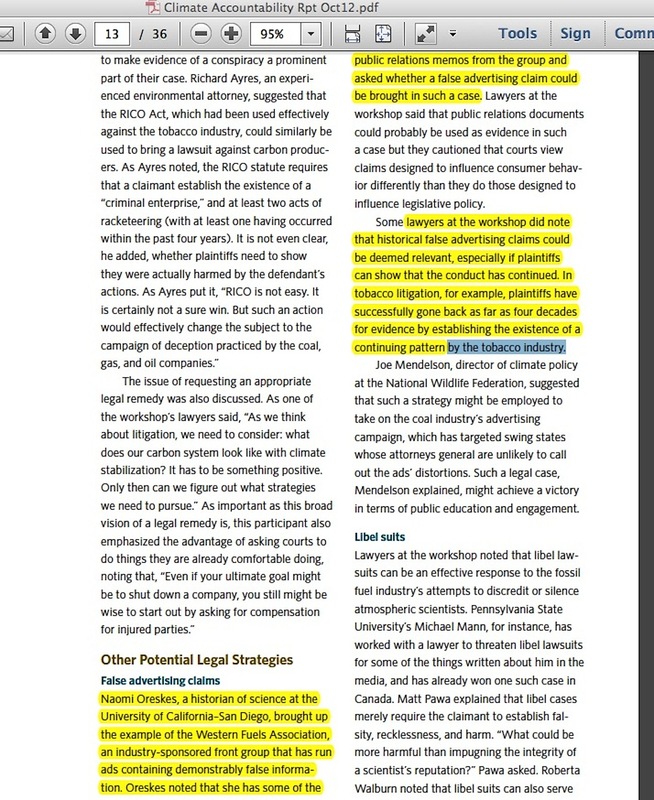 Basically, the lawsuits imply lies/misinformation about the otherwise certain harm of smoking and man-caused global warming could be bought from Dr Singer. This same insinuation is found within Matt Pawa’s New York v. BP lawsuit at its page 46. 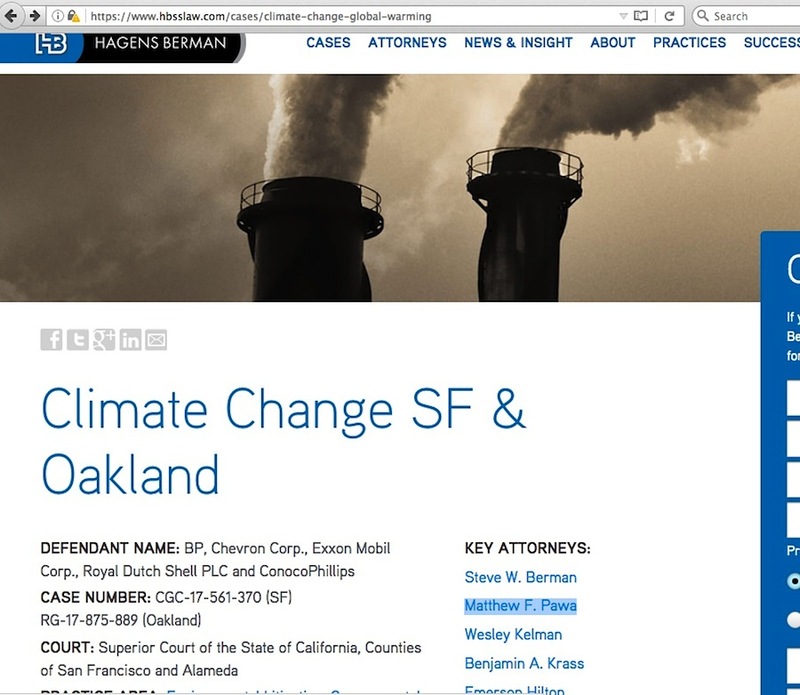 Pawa is the prominent attorney leading the San Francisco / Oakland cases. The question is, when it comes to Pawa’s preparation for the cases and who he relied on for his supposedly incriminating material, do they maliciously push the material while knowing it is false? 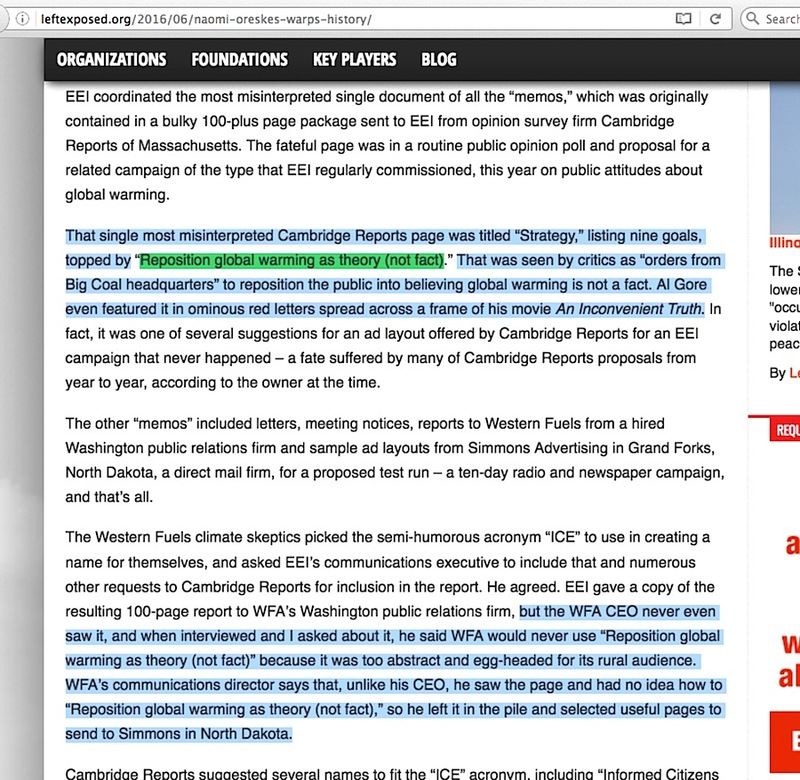 Or is the overall insinuation/corruption accusation simply an example of hugely inept fact-checking? 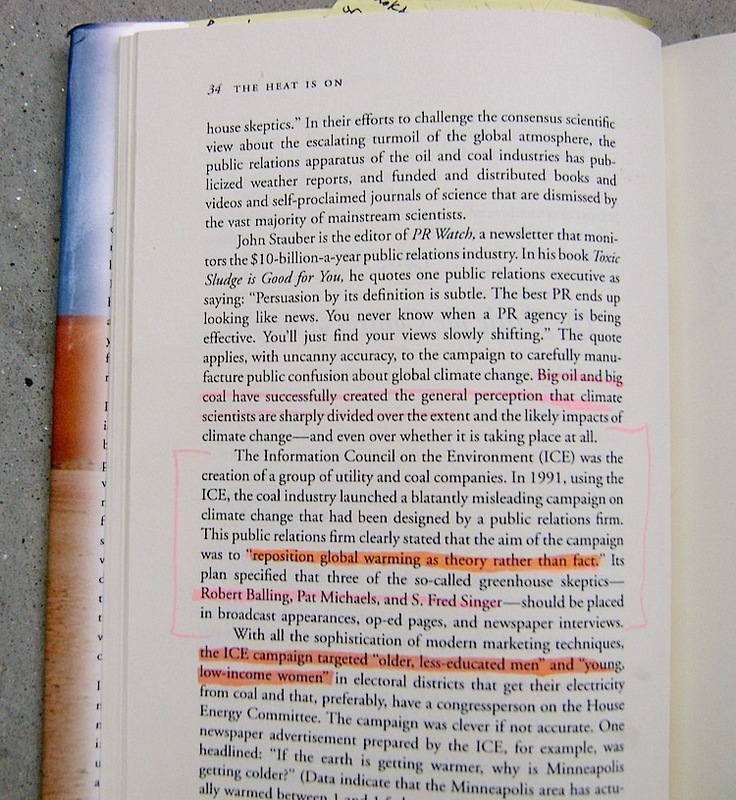 It isn’t a matter of rocket science to find out whether Dr Singer ever said smoking wasn’t harmful, or whether the bit about receiving money in exchange for issuing global warming misinformation holds water. 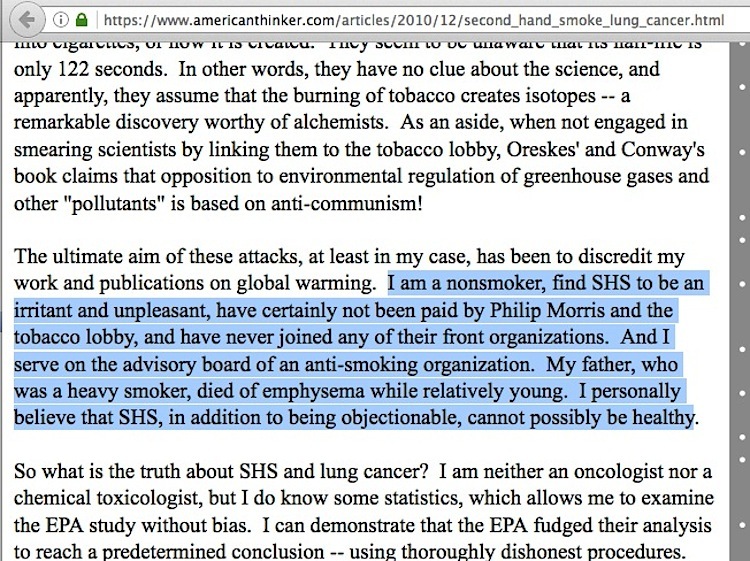 Concerning the “paid by the tobacco industry” line, I detailed in my May 6, 2017 blog post how that accusation essentially stems from a single source, Desmogblog, which apparently never read their own source of evidence. 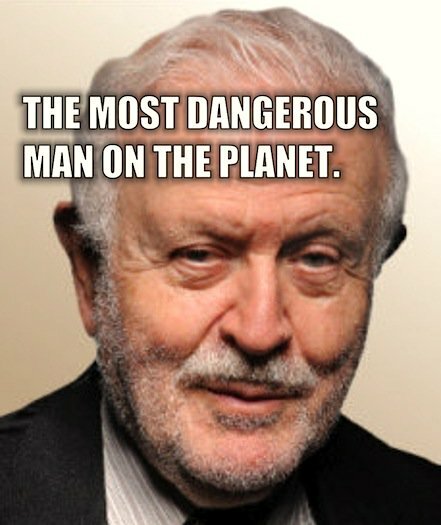 On top of that, Dr Singer has clearly stated his anti-smoking position. It stands to reason that if he said second-hand smoke “cannot possibly be healthy” then by default it’s illogical to imply he would say there’s doubt about the harm of smoking. Western Fuels, which is a 400 million dollar coal operation, it was very candid in its annual report. 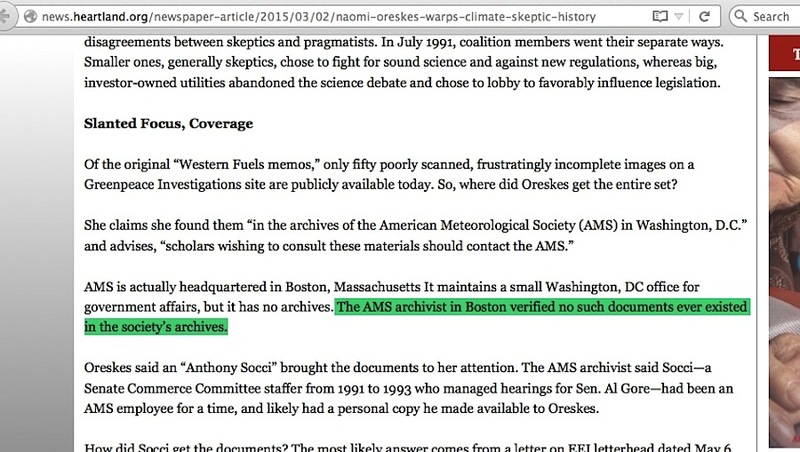 It said it was out to attack mainstream scientists, it hired three scientists who were skeptical of this, phenomenon, Pat Michaels, Bob Balling, Fred Singer. 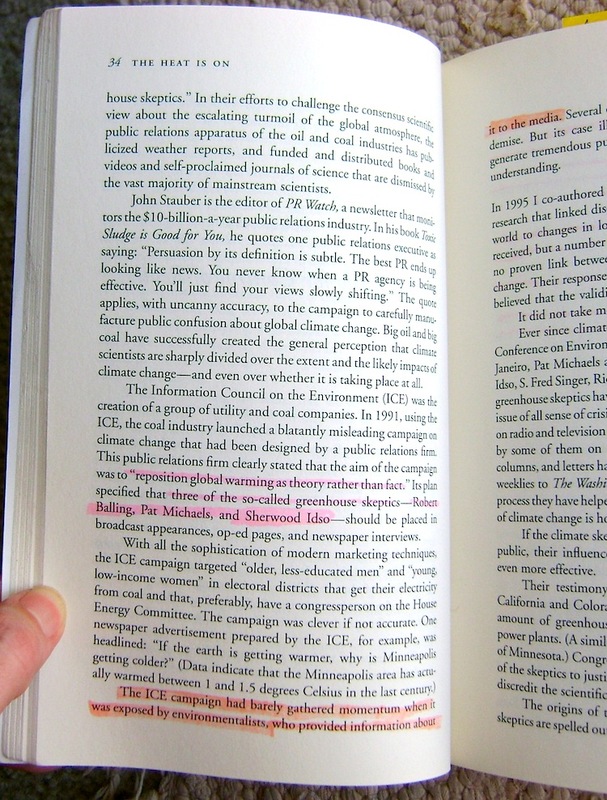 It turned out they paid these three scientists more than a million dollars under the table … We got a copy of the strategy papers for that campaign. 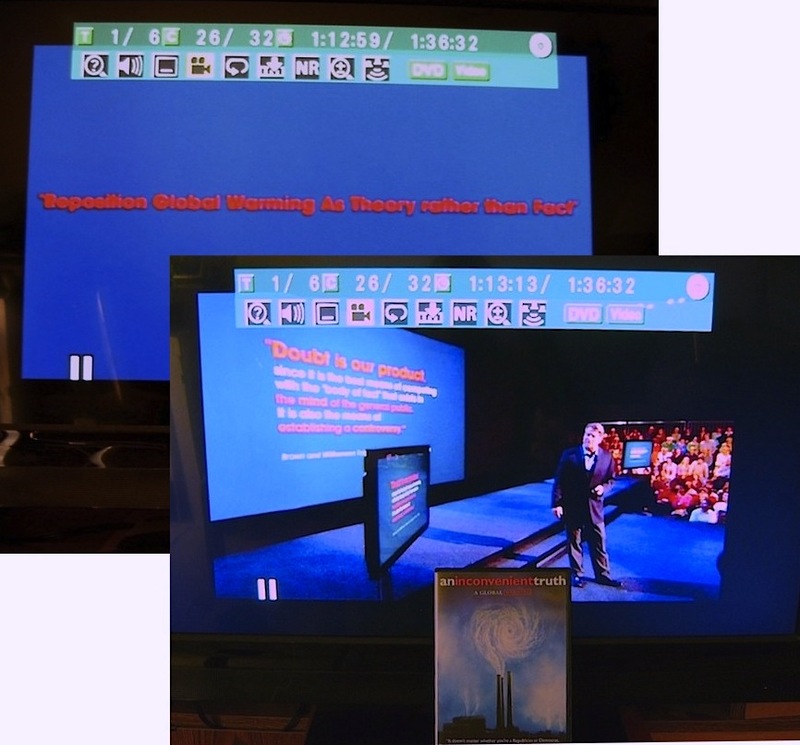 And it says specifically that the campaign is designed to “reposition global warming as theory rather than fact” …. Speculation on who was connected to the ICE campaign varies. 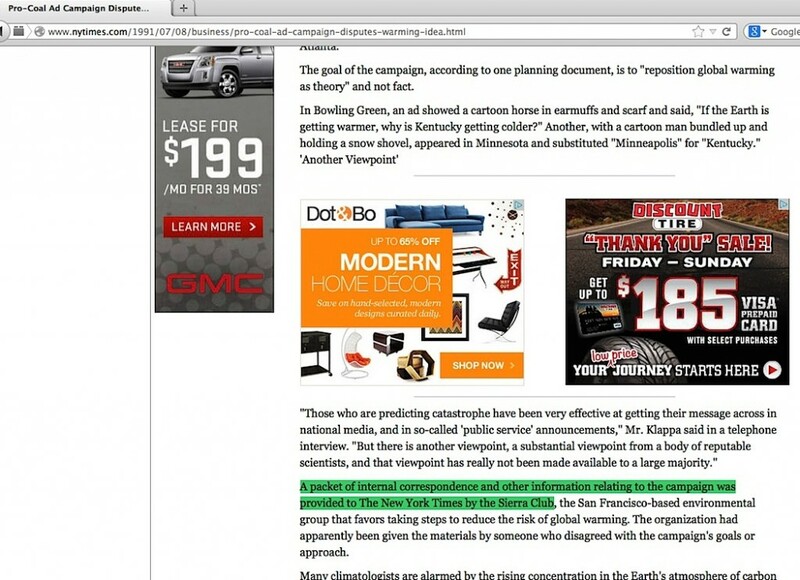 and the National Coal Association, according to Al Gore. I could go on for pages and pages. 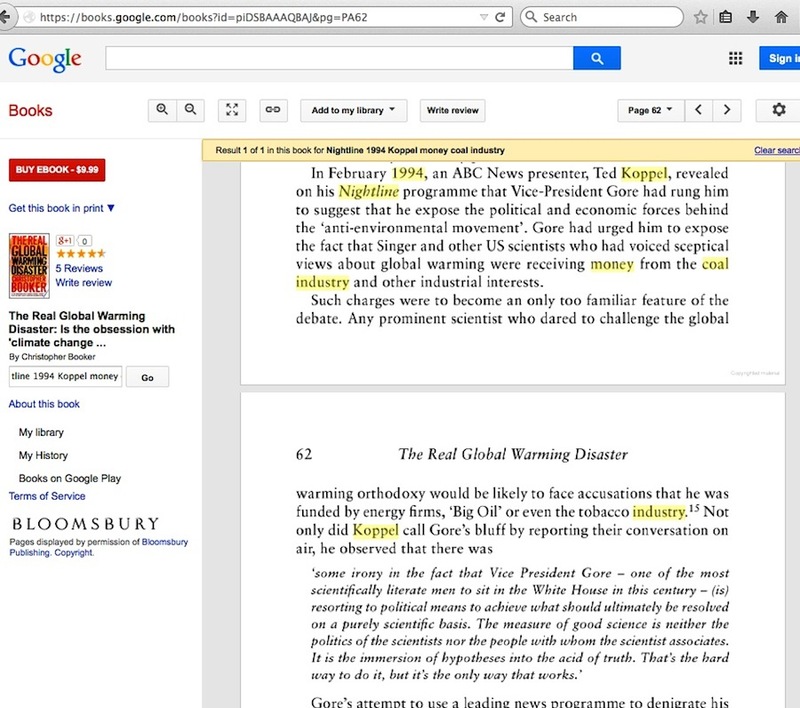 But then, that’s what the entire focus of this GelbspanFiles blog is all about, many have references to Dr Singer. So why do these court cases bring up Dr Singer’s name at all? 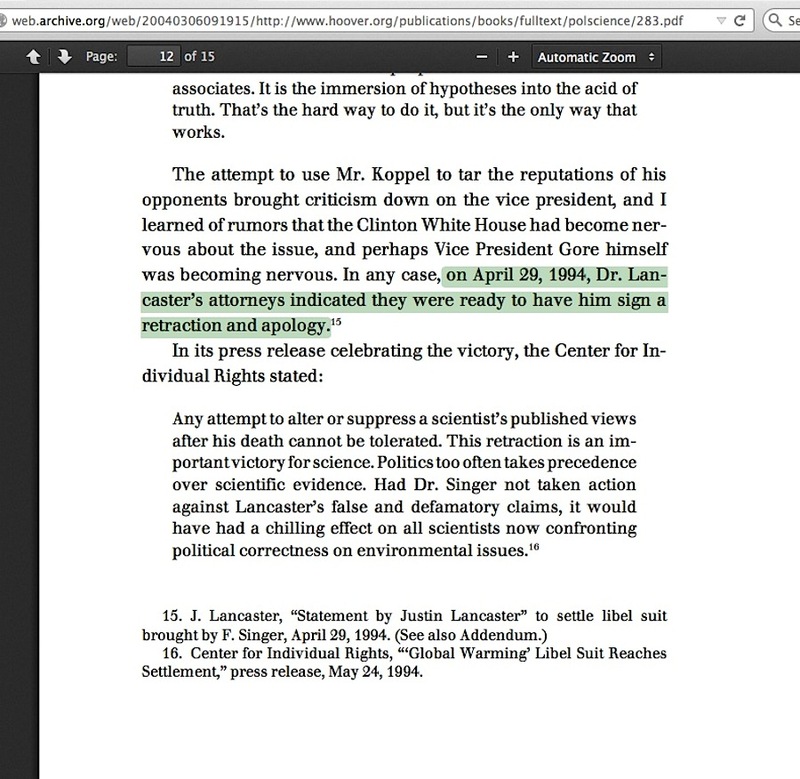 I suggest that, arguably in the eyes of Al Gore, he is “the most dangerous man on the planet.” Consider Dr Singer’s account of slander efforts against him in the situation involving Al Gore’s mentor professor recanting his position about the certainty of man-caused global warming …. and how that effort failed. 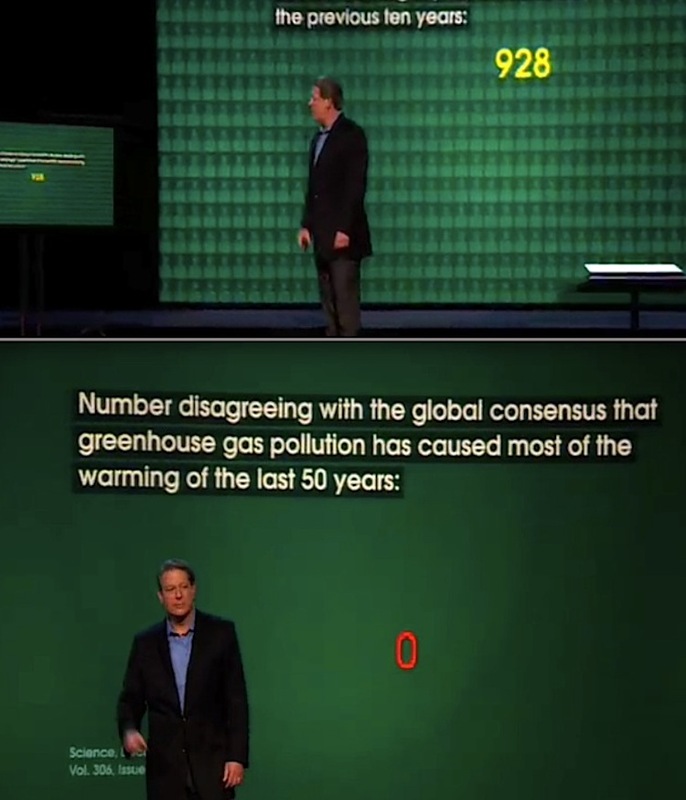 Consider the failure situation in which Al Gore was admonished on public TV by ABC News’ Ted Koppel regarding efforts to portray Dr Singer as a ‘paid industry shill.’ Consider the potential failure facing Naomi Oreskes’ claims about a 100% scientific consensus on man-caused global warming, if her ‘attackers’ – namely Dr Singer – was able to debunk her claim. 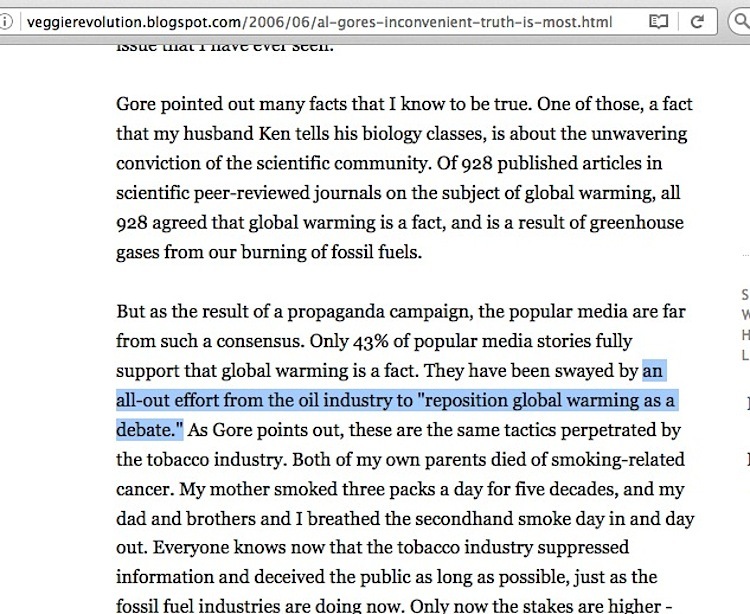 Consider how such a failure would reflect on Al Gore, whose 2006 movie led up to that climax revelation. 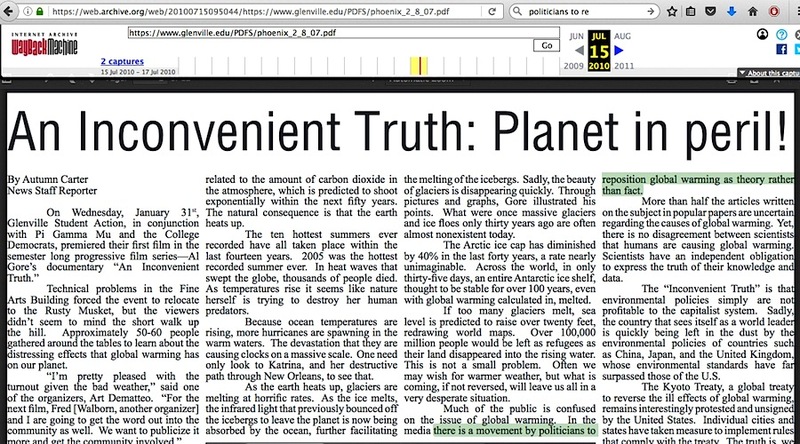 What’s your course of action to save your global warming agenda, particularly if you can’t dispute refute science-based / statistic analysis-based material from one of your fiercest critics and his associates? You create a movie where you compare the opposition to tobacco industry shills – sorry, movies, plural – and you brainstorm lawsuit action which compares the opposition to the tobacco industry. Dropping giant hints about that in front of Attorneys General along the way. 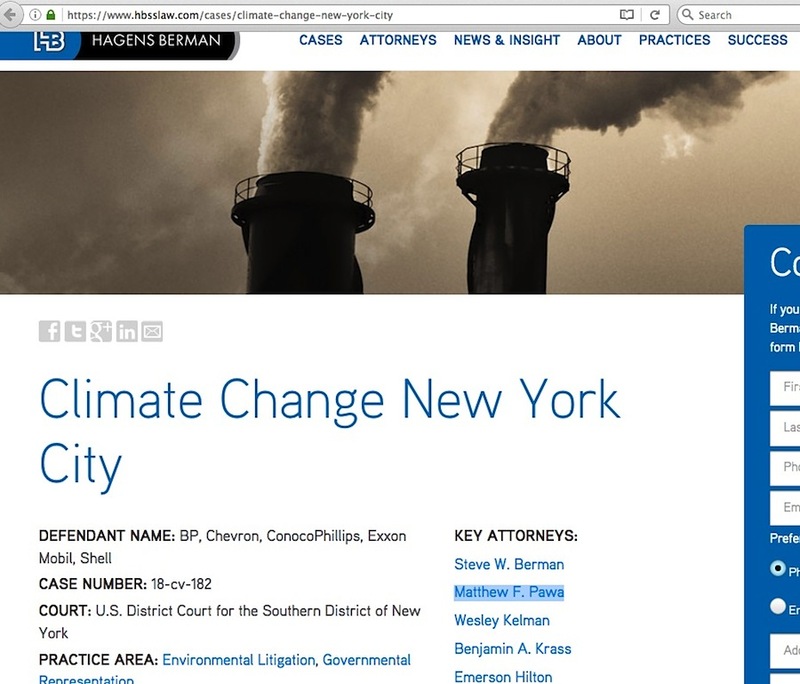 Enviro-activists believe they are headed toward the light at the end of the tunnel on the man-caused global warming issue with this growing collection of lawsuits against fossil fuel companies. But in putting all their eggs in the one basket of ‘crooked skeptics,’ this looks to me more like the locomotive light of an oncoming libel/slander retaliatory legal action train which could destroy the whole issue. 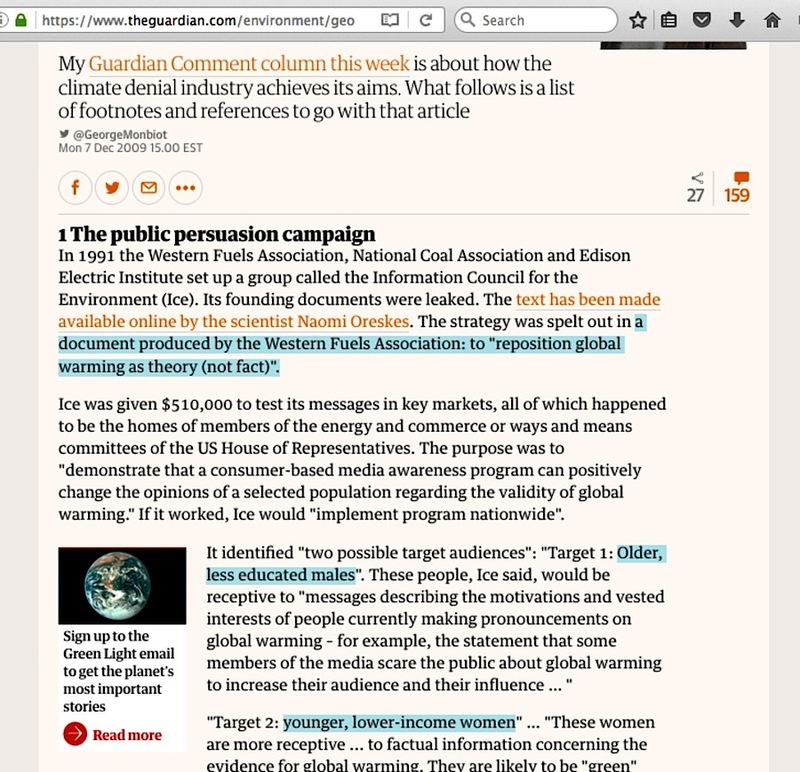 This entry was posted in Global warming lawsuits, Tobacco Industry Parallel and tagged Al Gore, Desmogblog, Hagens-Berman-Pawa, Matt Pawa, Naomi Oreskes, Western Fuels Association by Russell Cook. Bookmark the permalink.